Thank you, Isabel, for inviting me to share my top ten favorite books of all time. 1. Wildflowers by yours truly. Yes, I know it’s my own work. I’ll add in a number 11 in case you were looking for books outside of my own, but honestly, it really is my favorite of all the books I’ve ever read, and trust me, I’ve read it like 30 times already! I completely fell in love with Aster as I typed away on the manuscript. Tragedies are my favorites, not that I don’t enjoy other types of books…because I do. 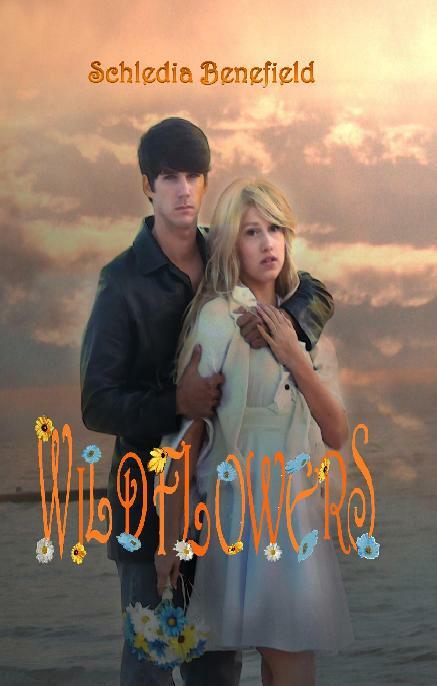 Wildflowers is a beautiful, tragic love story that had me in tears as I wrote it. If you happen to enjoy love stories that aren’t always peachy, then you should check it out, and this week from March 25-29, the kindle version of Wildflowers is on sale for 99 cents on amazon! 2. Wuthering Heights by Emily Bronte. Love, love, love, love, love Heathcliff! 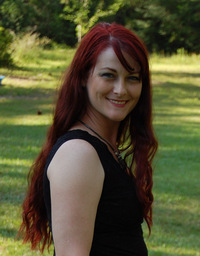 As a matter of fact, my main character in my first novel, Plain Jane, relates herself to Cathy. 4. Pride and Prejudice by Jane Austen. My husband bought me a collection of her works for Christmas two years ago. It is one of my prize possessions. There are certain things you pack to take with you when a hurricane threatens your home, and it is one of the things that gets packed in my suitcase! 5. The Notebook by Nicholas Sparks. I love the way Nicholas Sparks tells a love story. This book kept me in tears. 6. The Hobbit by J. R. R. Tolkien. I loved the introduction to Middle Earth. I mean, who doesn’t like the idea of meeting such majestic beings as you find in the pages of this great work, and the details in description is amazing! 7. The Lion, The Witch, and The Wardrobe by C. S. Lewis is a long-time favorite. I was completely engrossed and still am. I love entering the magical world of Narnia! A few years ago, I knocked the wall out between my two oldest sons’ closet to make it bigger. Now you can walk through the closet to the other’s room. I told them it was like the wardrobe that takes you to Narnia! 8. To Kill a Mockingbird by Harper Lee. I live in the South; I have my entire life. One of my dearest friend’s house was burned down by the KKK when she was four. I didn’t know her then. We met in junior high, but racial tension is something you couldn’t help but know existed in our area, so books that deal with racial issues always speak to my heart and stay there. 9. A Time to Kill by John Grisham. His best in my opinion, and one of my favorite stories of all time. 10. A Walk to Remember by Nicholas Sparks. I told you I like Nicholas Sparks. I love so many of his books, but this one, along with No. 5, rank in my top ten. 11. Twilight by Stephenie Meyer. Yes, I said it. I’ve seen a lot of people out there who don’t like the series, but oh my gosh! I only read it to see if it was okay for my daughter to read. I couldn’t put it down! I was literally prying my eyes open to keep reading. I could care less about the vampire part. I was captivated by the love story. Thanks again for having me, Isabel. I enjoyed sharing the books I love the most in the world! Thank you Isabel for sharing some famous books of all time. I have read most of them. I'll read the rest someday.